I’m working up a second collection of short stories, firing back up on my novel and submitting some other pros and poetry in the coming months. 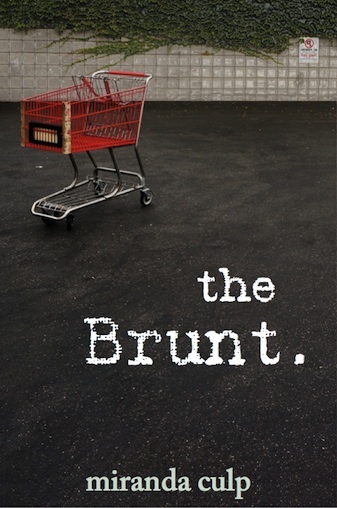 In the meantime, I invite you to read my first collection, the Brunt on Amazon. if you like dark quirk, ghost stories, satire and animal revenge then these 6 stories are right up your figurative alley. Thanks as always for your support, your feedback and your own imaginative contributions to the world. In another, opportunistic move, I am going to capitalize on this season of getting and spending by suggesting to you that you buy this collection of irreverent, exploratory, slightly witty short stories for someone you truly love or just like ok. In a slightly less self-involved move, I am going to invite you to give me feedback, positive or negative so that if you feel totally ripped off by the 3 dollars you wasted, you can make yourself feel better by letting me have it. Especially if you are George Bush Jr. Don’t know what that means? Guess you will have to read the story to find out. Wishing you a genuinely peaceful, jovial holiday. In publishing my latest short story collection, I encountered what I imagine are very common problems with formatting. Kindle demands a sort of “one-size-fits-all” format from the text so that it is highly malleable. It is exasperating to format in Word only to put it in the Amazon Previewer and have it completely distort the text. And then even when you think it looks great in the Previewer, once it is actually up on Kindle, it changes again. I’m sure this has exposed me as a rank amateur. From a creative writer’s perspective, a big advantage to self-publishing is that it potentially offers all kinds of alternative forms for storytelling. One of the stories in my collection, entitled The Big Event, is about a grandiose wedding experienced entirely through the lens of social media. I experimented with Facebook, Twitter and email style formatting. What I found in trying to include this story with the rest, was that Kindle was simply not having it. Knowing very little about #self-publishing, I looked around at other possible self-pub options, but most forums said the same thing: that if you wanted any success at all, you were eventually going to have to put it on Amazon. So I got around it by setting up a Google doc that could be publicly shared and included a link. As far as I know, when you get to this section of the text, you can click on the link and it will take you to the doc. I am so curious if this worked for people and what their experience was trying to read a narrative in this medium. We are so used to absorbing information in this way, but we never think of it as a “story”. If you did, I would really like to hear from you. If you are similarly experimenting with different forms and styles and have found a platform that works better, please hit me up. Please note that this material is copyrighted and may not be reprinted without my consent. Enjoy. Some semi-interesting facts about Miranda. It’s been almost seven years since I moved away from San Francisco. And yet, I still dream, just like this morning, that I am there. It’s usually the mayhem of Chinatown or the Mission and I am with a group of people desperately trying to coordinate an outing of some kind. Or I am looking for housing. This morning, I was trying to talk my other single mom friend into moving in together. I get an article in my FB feed once a week about a beloved venue, an old school restaurant or some other pivotal cultural institution coming down to make way for more upscale housing and wine bars. 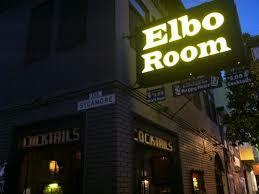 The most heartbreaking so-longs recently have been Elbo Room and Cafe du Nord. Like many of my friends, I feel like the San Francisco I loved is no longer. Most of my artist friends have made the exodus to Oakland or Berkeley. On the scale, I don’t think I am terribly sentimental, but the great architecture, the dive bars, the magic hole in the wall cafes and most of all the live music, all seem to be evaporating. At one point, Jenny is in the as of yet undisturbed edge of town called San Miguel Station (known to you San Franciscans San Jose Ave and Alemeny Blvd) when a construction crew suddenly emerges to dam a pond and Jenny rants about how the whole city is changing. So it ain’t new news. There is another line in the story when the investigating officer sniffs at Blanche’s french origins and makes a cutting remark about how her kind flooded into the city around the Rush, threatening the City’s dignity. The French, for godsakes. 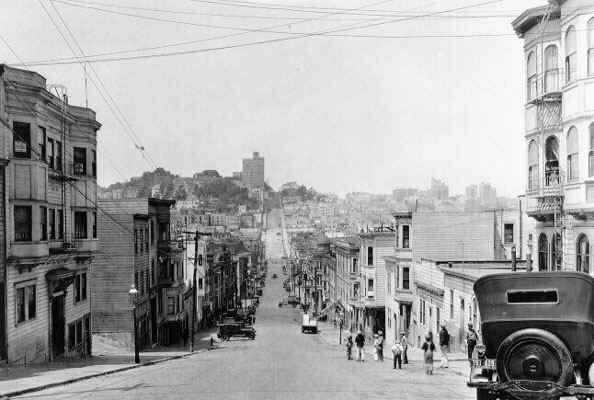 San Francisco has always walked the line of defining civilized society and opportunity while hosting the shadiest of markets; it has always lauded it’s reputation for bohemian inclusion while cordoning off whole segments of its population. Like any other American city that has prospered, it is a crystaline reflection of how the system fails most of its people. I am far from defending the tech influx that has driven working people, retired people, disabled people out of their homes. Where the charge of the City used to excite me, it now makes me acutely claustrophobic; the traffic is a nightmarish sea of cars at any time of day and the sidewalks are the same, just with people instead of cars. Every good idea you have: “hey, let’s go to the De Young” is exhaustive with time/money/logistics because everyone else had that same idea, and a latte is like, ten dollars now. If I’m going to live in New York, I want to actually live in New York. I will not spoil the end of Frog Music for you, since it is a wild romp, truly delicious with details of a San Francisco of yore, but I relished the fact that Sacramento is the greener pasture, in the story anyway. That is not to say that we don’t have our own version of gentrification here, but we still have reasonably priced housing and a middle class. For now. Last summer, I went to my local library and picked up a copy of Jane Erye. 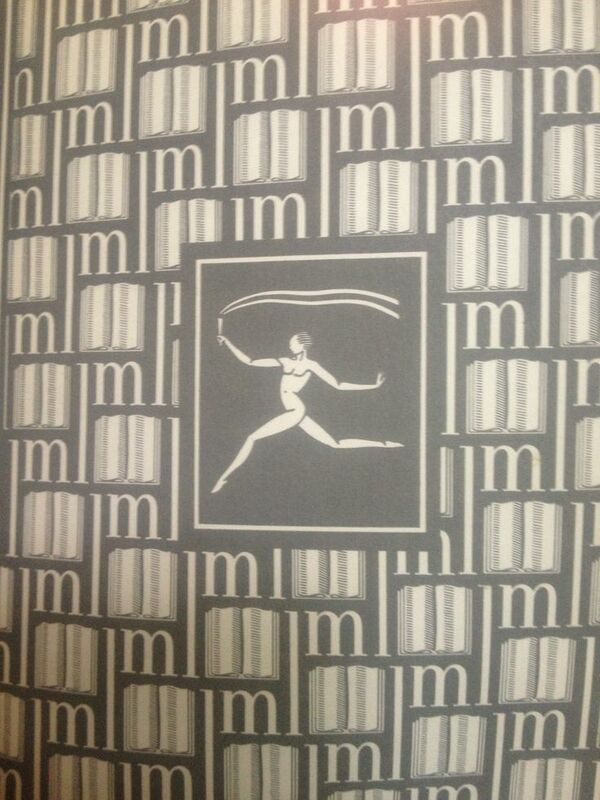 It was navy blue, full cloth, published by Modern Library in 1951. The title and author were printed in faded gold leaf and the endpaper was patterned with handsome light grey, that famous insignia of the dancer flitting by with a torch in hand. I loved looking at that lithe figure, animated by the light of inspiration. Every time I sat down to read it in my favorite chair, I smelled it first: dusty ink, that mineral acid and wood fragrance. And Jane would reappear, her sharp cuffs and imperious chin. I just don’t know if Jane Eyre would have been the same without the birchy, nutty heaviness of that excellent old library copy. Everyone laughs at emojis. They are a frivolity, a collection of accents that soften and simplify our sentiments. I sometimes look at them and think: in a few years, this could be how we write. We have stopped teaching our kids cursive. We don’t even teach them to type. There is speculation that our children will voice command, tap and swipe their way through all their communication. Studies indicate that their brains won’t develop the same way, that writing with our hands and spelling things out expands the thoughts themselves, expands the brain’s ability to conceive. As someone who writes for a living, I wonder if I should just get Dragon and teach myself how to “write” with speech, just getting the jump on where the whole thing is obviously headed. And as someone who worked in bookstores for a good part of my life, I cannot help but mourn the fading industry that saw each individual book as a crafted thing, a signifier of civilization, a torch. There is tremendous waste in traditional publishing that trumps sentimentality. More pragmatic minds have pointed out the insanity of cutting down a producer of oxygen in order to grind it down and make a book out of it, and they would be right. The sands of storytelling are shifting. Putting a story on paper seems almost indulgent now. Quixotic. Storytelling will always live as long as humans do; it’s how we make sense of the world and organize the chaos in a way that hopefully keeps us sane. But there is a sense too, that the medium is evaporating, becoming “paperless”. It is a story in and of itself, and not without its own little tragedy. I always sign my name with the tilde because I think of that gesture, the dancer, like language, in motion, already becoming something else. Yes, its happening. The shorts I have been toiling at for years are finally done and up on Kindle. Please fork over the 3 dollars (of which I get 70%) and engross yourself in my slightly creepy, scary, hopefully funny imagination. If you are a reader of fiction or maybe you are just my friend, download this collection of short stories onto your device and tell me what you think. And you can even “lend” it for free to one person, so if you like it, let your literary friends know. I titled these stories the Brunt because they all thematically collect around the wonderful or awful moment when the rubber meets the road, the point of no-control that life regularly hands us. I am interested in how this moment brings out the best and the worst in us, how it changes us. While I’m here, I’d like to give props to Jeremy Gilmer for coaxing my erratic ego through this process, Beth Wenbourne Katz for her ninja marketing and editing skills, my Mom, Lynne Culp for being a stringent reader and asker of questions, as well as Mona Nahm, Josh Noble, Dean Ellis, Bridget Kolakosky, Stacy Greengard Luget, and Julia Beckner for the fabulously eerie cover. You all rock. Thanks for reading. And make more art! Paul Valery said, “Poetry is never finished, only abandoned.” And I think I can say the same for my short stories. I am about to self-publish my first work of fiction. Some of these shorts have been in the can for years, others of them fell out of me recently. Despite my many years of art-making (music, acting, photography) the process is still incredibly chaotic; it means regular visits to the existential equivalent of the sub-abyssal zone and the Himalayan summit of Meaning, sometimes in a single day. Publishing a collection of stories is not unlike sitting around a table with your family during the holidays. You like some of them more than others but you are supposed to act like you adore them all equally. The ones you get along with the least demand the most attention from you. They all talk at once. And some of them, the more you visit, the more you like them and the deeper your relationship grows. i am thrilled, exhausted, grateful, relieved and a little sad to be finished. I am genuinely surprised with how my process has developed, regardless of the final product. I am also so, so grateful to my friends and fellow writers who have generously taken the time to give me feedback. A friend of mine, Mr Bennett Ralston, said to me, “what you are doing is difficult and lonely, but that doesn’t mean you shouldn’t do it.” Well, I’m doing it. Here you go, world. We’re famous now. @randyrainbow you are a pure gem.